The first few winters in the New World were treacherous for the new American colonists. 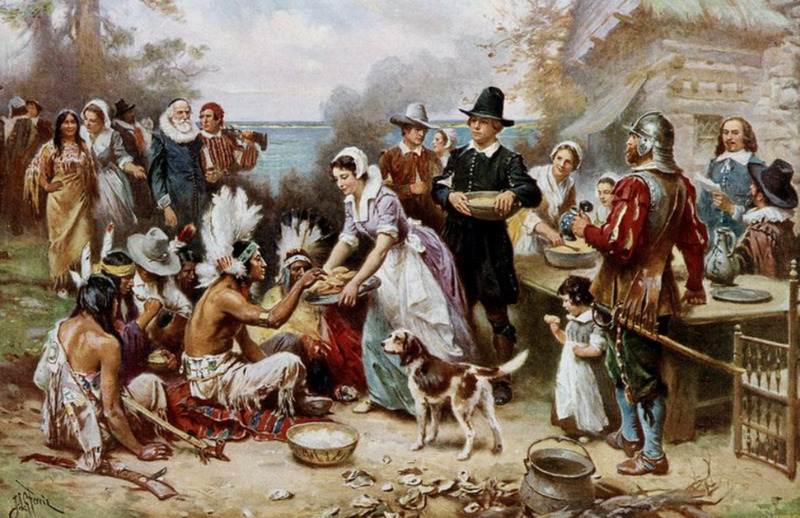 In the Plymouth colony, the settlers died in droves from both sickness and starvation. Nevertheless, from the beginning the settlers expressed their thanksgiving for the evidence of God’s good providence in their lives—despite all the hardships they faced, they recognized the peculiar opportunity they had been afforded. Thus, they outwardly affirmed their fealty to God and His ways. Many years later, the patriotic poet and balladeer, Hezekiah Butterworth attempted to capture that remarkable paradox of faith in his lyrical verse, Five Kernels of Corn. The necessity of rationing the meager food resources is set alongside the abundant moral reserves of the people. Ye people, be glad for Five Kernels of Corn! Five Kernels of Corn! Five Kernels of Corn! To each one be given Five Kernels of Corn! That to you has been given the wilderness voice! And the festal world sings the Five Kernels of Corn. Long a part of the traditional New England holiday tradition—before the turkey is carved, each member of the family is served a mere five kernels of corn after which this inspiring poem is recited—the remembrance of Plymouth has become a symbol of the incredible blessing of this land.